Vasile Oanea lives a life between the old and the new. 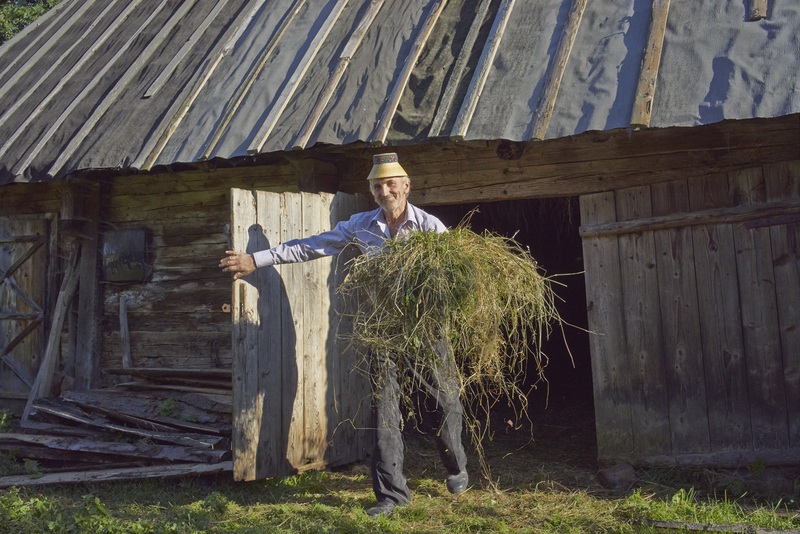 He splits his time between farming and photography in his rural village in the Maramures region of Romania. For many years he has been known as the area photographer, documenting weddings, festivals, traditional handiworks and fieldwork. His Face Book page consistently announces birthdays, holidays and musings about life overall. His photo practice began with black & white film and darkroom processing. Now he has a computer, a satellite dish and a digital camera. Yet, he still must remember to feed the livestock. I met Vasile in 2013 during a trip to Romania for my own photo project and traveled there again in 2015. 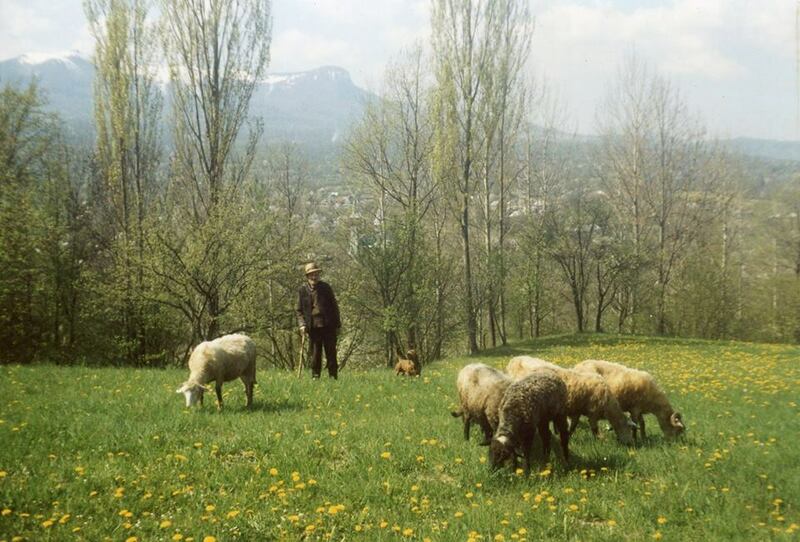 These visits, in conjunction with information from SEE’s interviewees, Aimee Swenson and Dr. Lyle McNeal, inspired me to do more research about sheep herding worldwide. 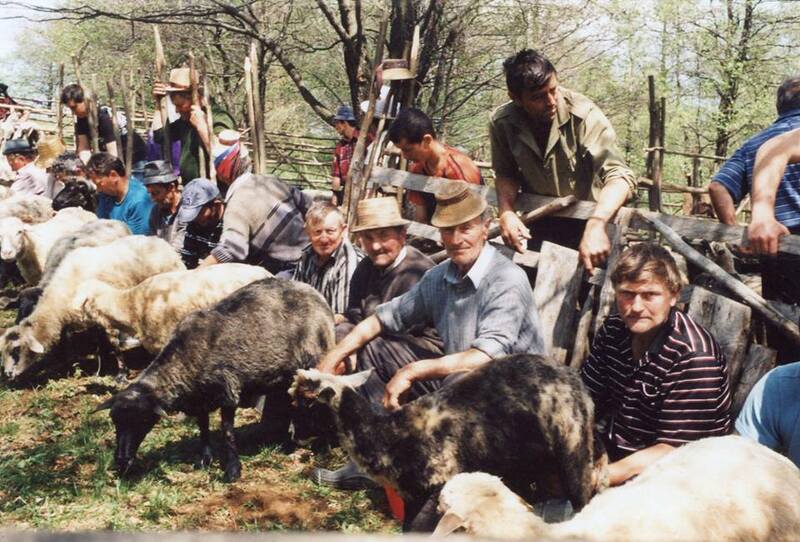 Below are Vasile’s thoughts and images of a shepherd’s life in Maramures, first in his native Romanian and then in English. 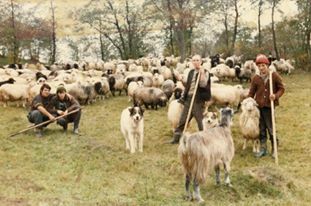 After that, are some links to intriguing aspects about the modern day practice of tending sheep across various countries and the United States. A fi cioban de specialitate nu-i simplu ca în orice profesie . Nu trebuie studii dar e nevoie de o mare plăcere de a respecta pe aceste animale - oile care îmi pare că-s cele mai blânde dintre câte sunt pe pământ cu excepția unor masculi ( berbeci ) care se obișnuiesc și împung . Este greu deoarece o perioadă îndelungată trebuie să stai în câmp sau la munte - ziua și noaptea , pe arșiță sau ploaie - pentru a le păzi chiar dacă e însoțit de câini. Cultura crescătorilor de animale și-n special de oi este legată doar de ocupația lor . La acești oameni le place : să citească basmele , să asculte cântecele , să vizioneze filmele , să privească fotografiile...în care sunt ființele ce-s zilnic cu ei. Crescătorii de oi au o memorie mai liniștită și mai ales păstorii care sunt mai departe de mass-media . 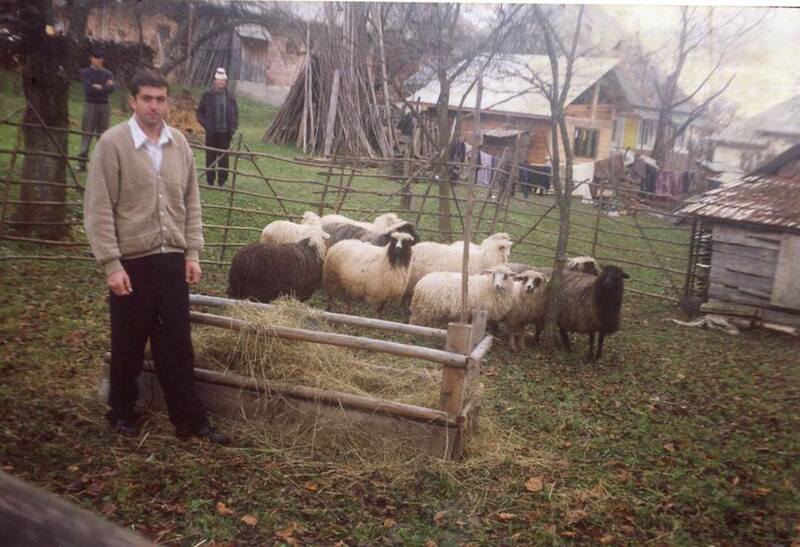 Este o mare diferență între cultura intelectualilor și cea a ciobanilor. 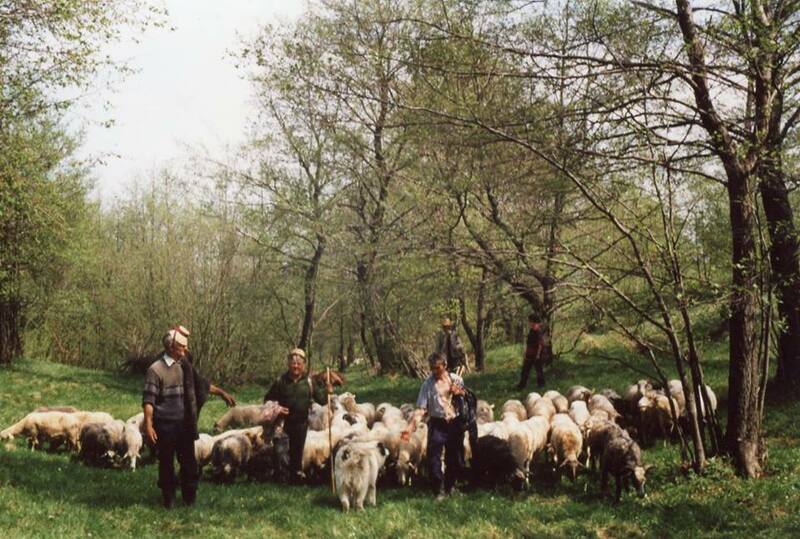 The occupation of a shepherd is not an easy one, nor is it simple, just as in any profession. 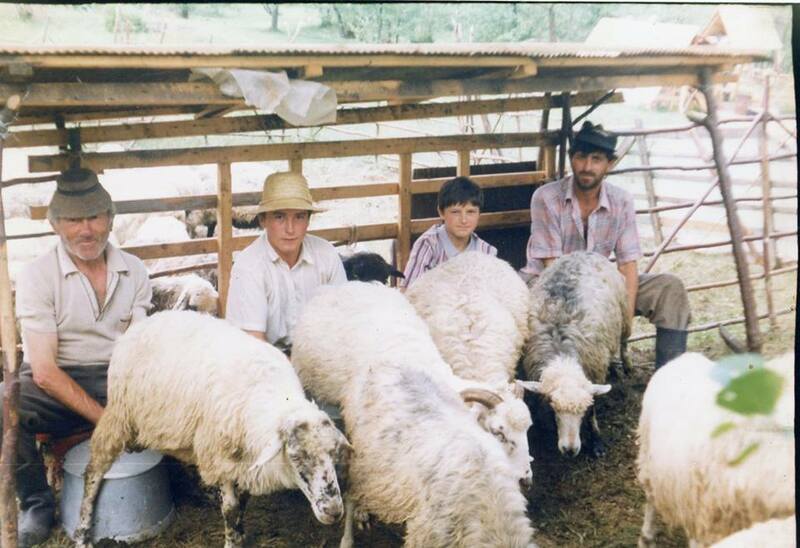 Although one does not need a formal education, one must take great pleasure in, and have respect for these animals – the sheep, which it seems to me, are the gentlest creatures on earth, with the exception of some males (rams) who are in the habit of butting heads with each other. 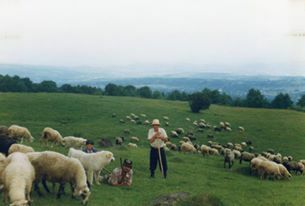 It’s a difficult profession because one must spend prolonged periods of time in the pasture, the fields or in the mountains – day and night, be it scorching heat, rain or shine – in order to guard them even when accompanied by dogs. 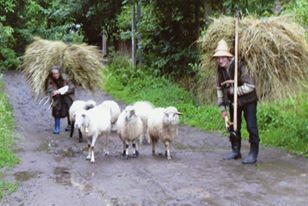 The breeders’ culture, especially that of the shepherds, is linked purely to their occupation. These people enjoy reading the fairy tales, listening to the songs, watching the movies and looking at the photographs of the beings that share their lives every day. 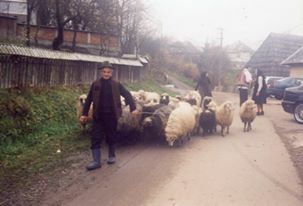 Sheep breeders have a more tranquil mindset than other people, in particular because they are farther removed from the media. There is a big difference between an intellectual’s culture, and that of the shepherds. Also, the Shepherds’ culture is Christian, not secular. They pray to God for the health of the animals and for lots of milk. 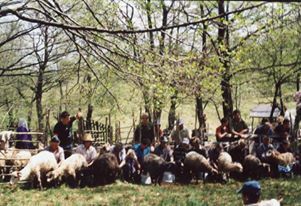 The priest is invited to the "sheepfold" to bless the herd and its location. The prayer "Our Father" is recited at the beginning of milking.